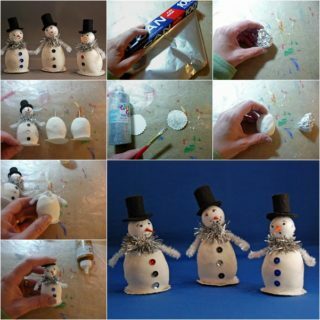 Ever since we were little kids, one of our favorite parts of winter has been making snowmen. 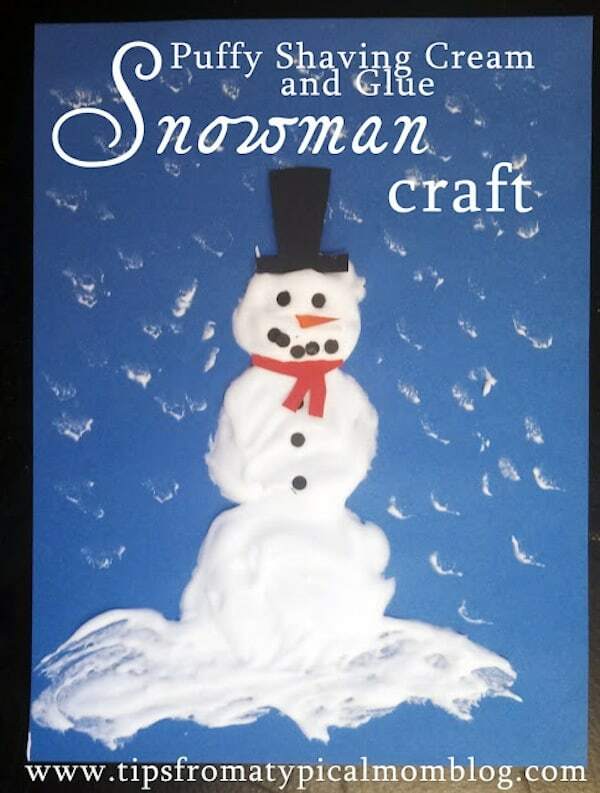 No matter what they look like or what size they are, snowmen have always just made us happy! 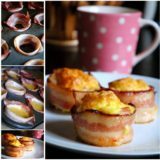 Besides looking cheerful and fun, they’re also a total blast to make. 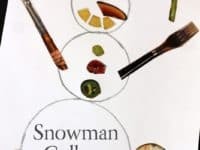 Some days, however, it’s simply too cold to go outside and make a snowman. If you live somewhere warm, perhaps you don’t even have enough snow to make one regardless of the temperature! In that case, your DIY skills come to the rescue. 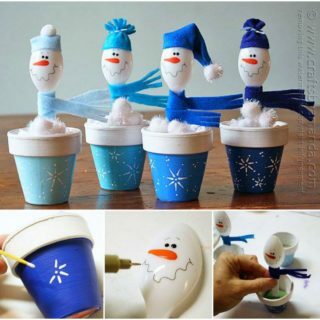 These hilarious little snowman jars might be the best way we’ve ever discovered to bring the snowmen you love so much inside! 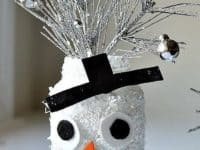 Kids Play Box suggests cleaning out a mason jar, covering it in white paint and glitter, and giving it features made of felt, googly eyes, and buttons. Pop some seasonal winter flowers or sparkly branches in the top when you’re done and you’ve got yourself a new centre piece for the dinner table! 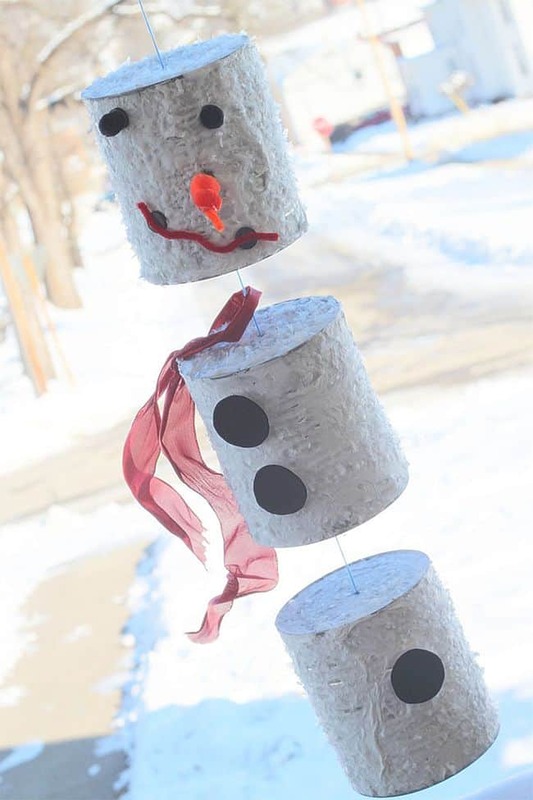 Whether you have large coffee cans or smaller tin cans, save them and clean them out for snowman crafting purposes! 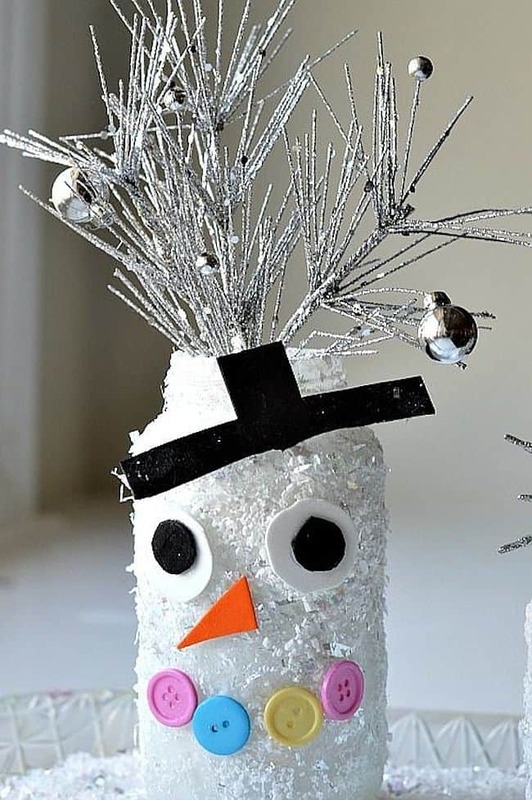 Cover the cans in white paint and glitter or faux snow flakes and string them together just like Hands On As We Grow did here. 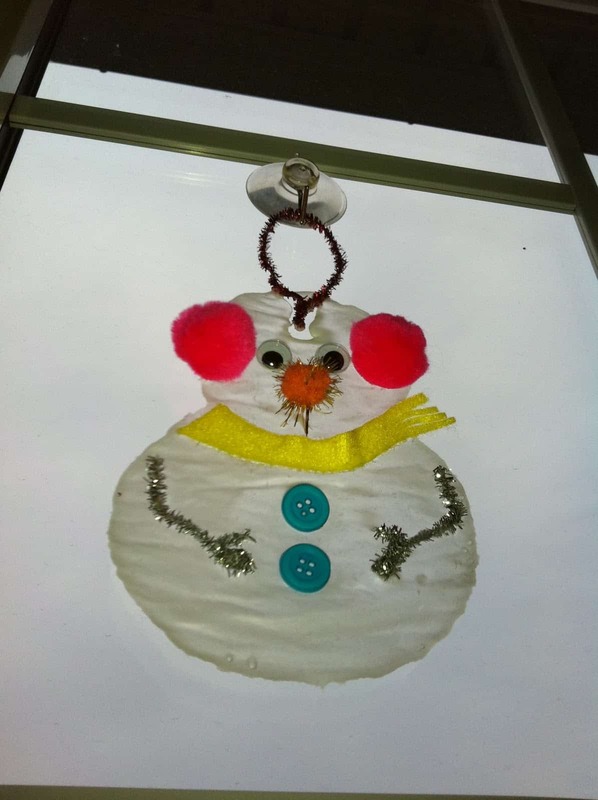 Add a cute little face made of pom poms and pipe cleaners and give him a scarf so he’s all ready to hang up! 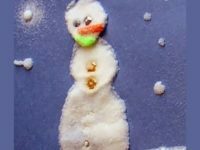 When we craft with our kids, their favourite projects are always the ones where they get to use unconventional materials. 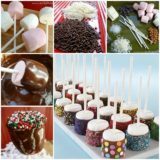 Even if the special tool is a simple household ware like cotton balls, kids always feel like they’re getting a special treat when they get to glue fun things together in new ways. That’s why we love making these cute little cotton snowmen by Mom to 2 Posh Lil Divas together every year! 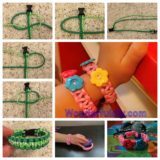 Did you love the idea of making DIY puffy paint but your kids are little enough that you still try to avoid glitter when it come to crafting time because you know you’ll find it still ground into the carpet and the couch in July? 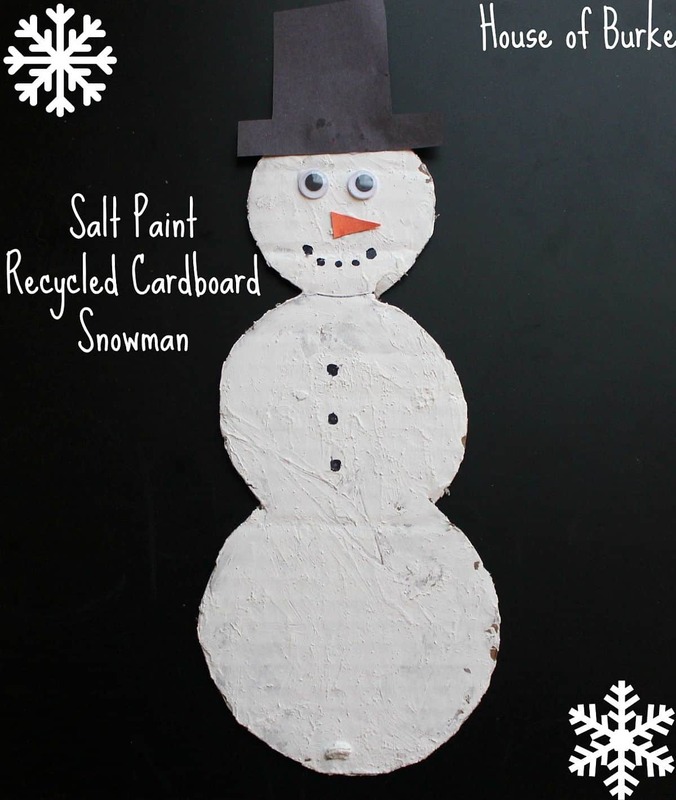 Here’s a plain white version for you to paint snowmen with instead! 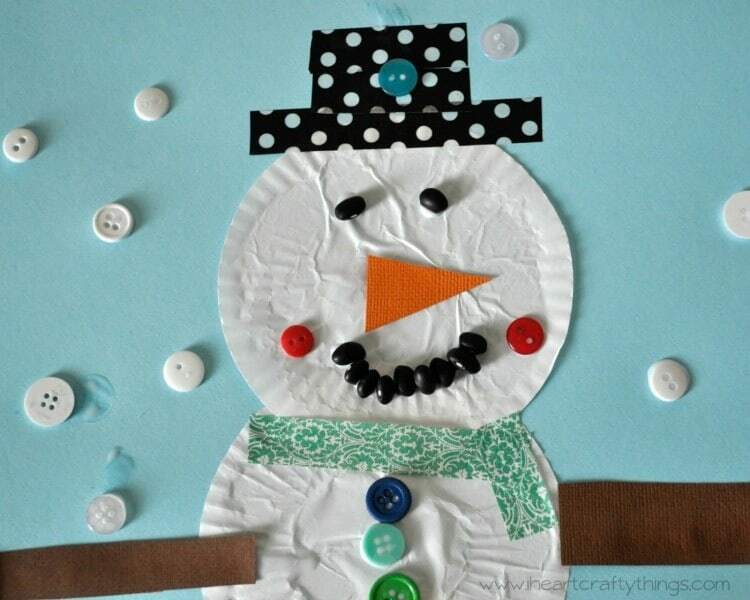 Tips From a Typical Mom shows you how to make it out of shaving cream and white school glue. 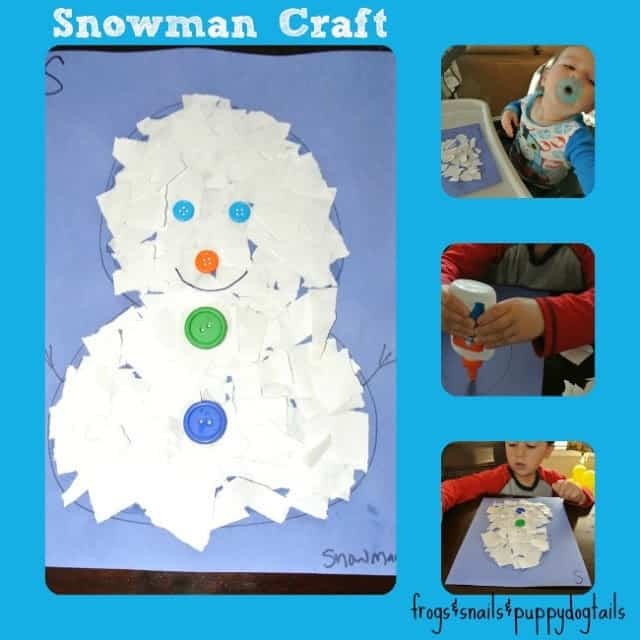 Are you looking for a simple cut and paste type craft that’s still snowman themed enough to keep your kids happy, busy, and festive? 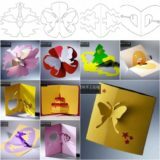 Then collages are definitely the answer! 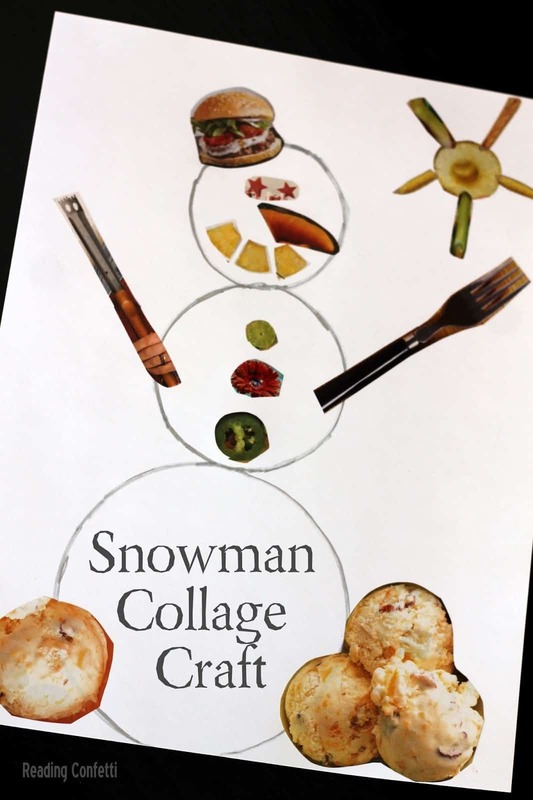 We love the way Reading Confetti kept things easy by using colours, textures, and pictures cut out of magazine pages to jazz up a simply drawn pencil snowman. 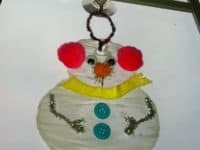 Perhaps your kids especially loved the idea of making cotton ball snowmen but they’re ready for something a little more challenging than just sticking them to a page? 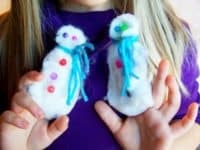 Check out how Hands On As We Grow made paper finger puppets shaped like snowmen and covered in cotton snow, beaded features, and yarn scarves! 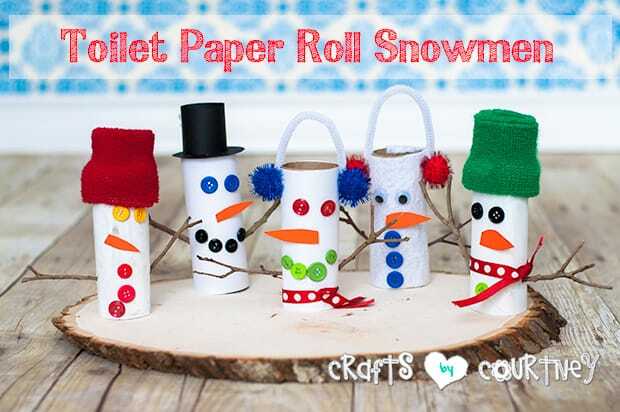 Maybe you’re happy about the idea of upcycling bathroom supplies into kids’ crafts but you don’t have any cotton balls right now and your kids need to craft their way through a snow storm? Well, the toilet paper rolls that you’ve been meaning to recycle will do just fine! 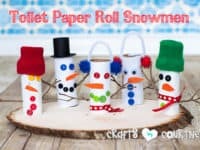 Grab some white paint, buttons, pom poms, ribbons, and whatever else you think will work well and deck your snowmen out just like Crafts by Courtney did here! 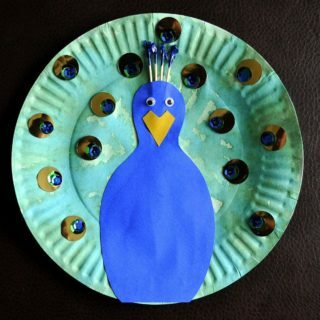 Whenever our kids craft, we usually end up hanging their finished master pieces somewhere in the house. 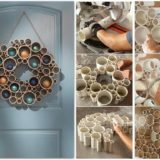 That’s why we love finding crafts for them to make that are actually meant to be decor! 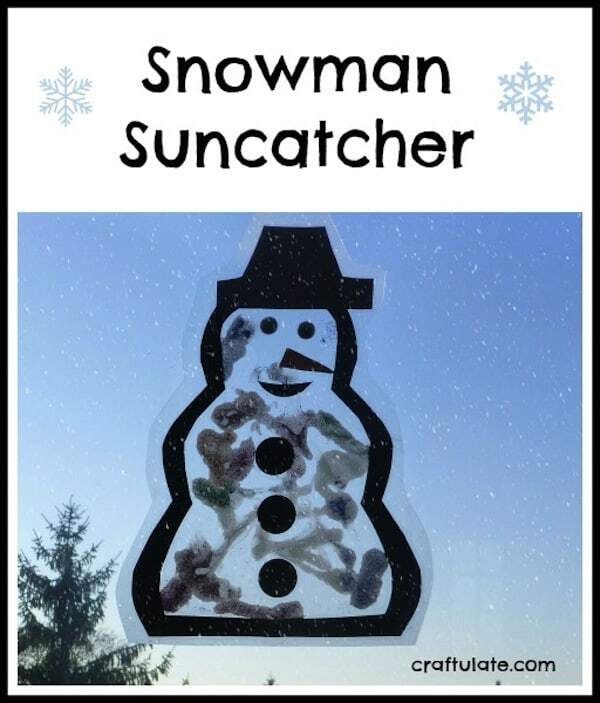 These little snowman shaped sun catchers are the perfect example. 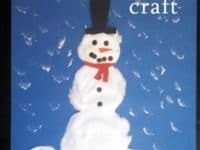 Craftulate shows you how they’re done so you can appreciate the sun shining through your kitchen window just a little bit more on a chilly winter’s morning. 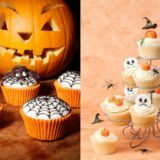 Maybe you and the kids have decided to make cute Christmas cupcakes together but there are certain parts of the process that they’re still just a little bit too young to help with? Instead of letting them get antsy just watching you, put them to work on something else! 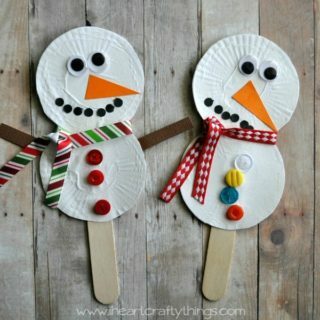 I Heart Crafty Things suggests handing them a few cupcake liners right from the pack you’re filling with batter and letting them cut and paste using the liners as the circles for their snowmen. We love the button embellishments! 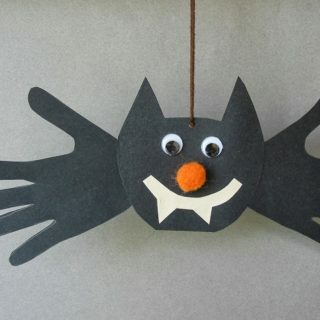 Maybe all you have to work with besides glue and buttons are some sheets of paper and some scissors? That’s still enough to make an awesome craft! 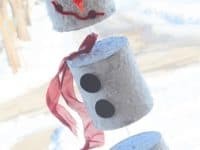 This DIY idea will be especially appealing to your kids because part of the fun is tearing the white paper into little pieces before they stick it down. Check out the details on Frogs and Snails and Puppy Dog’s Tails! 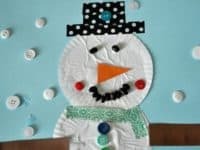 Did you like the idea of a cupcake liner craft because it lets your kids work with something that’s already circular and easy to transformed into a snowman, but you don’t have any cupcake liners right now? Take a leaf out of Hands On As We Grow‘s book and give your kids some cotton pads from your beauty cabinet instead! Making a rubbery window cling is easier than it might sound! 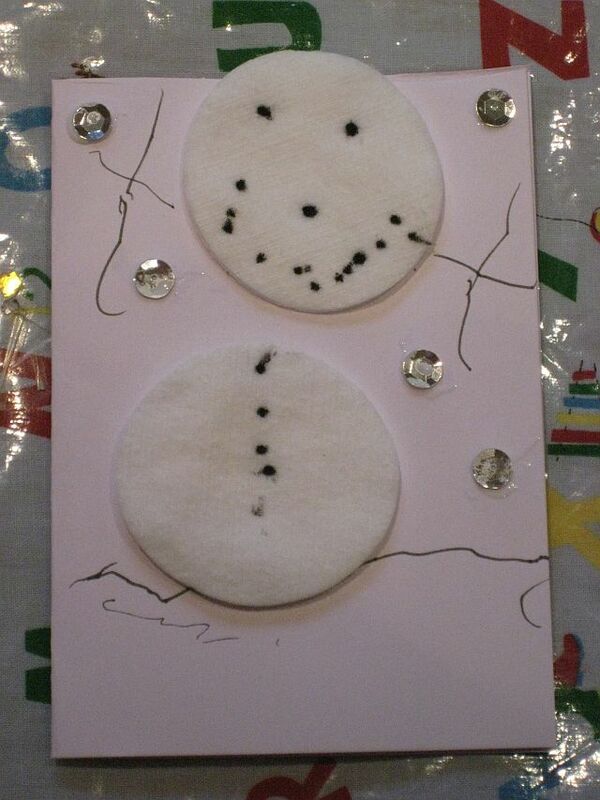 In fact, Rockabye Butterfly is here to show you how you can make one using simple school glue as a base. 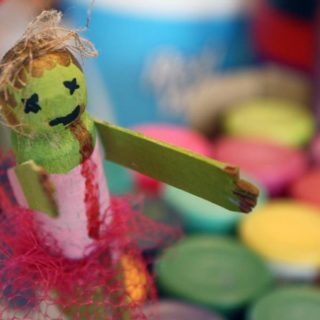 As if playing with glue isn’t a fun enough idea for your kids, think about how excited they’ll be to decorate it afterwards! You’ll be just as happy as them to hang their hard work in your window for the holidays. 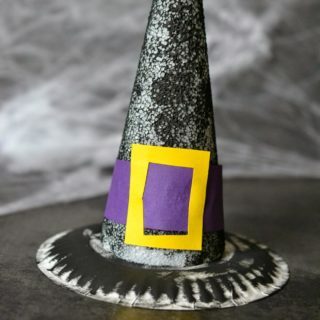 Sometimes a simple cut, paste, and paint is the best craft for a chilly day because you can simply dig into the craft supplies you’ve already got stashed away at home. 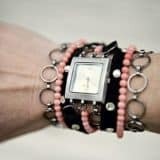 Even then, however, we often find that our kids have more fun if we add another layer of DIY to the mix. 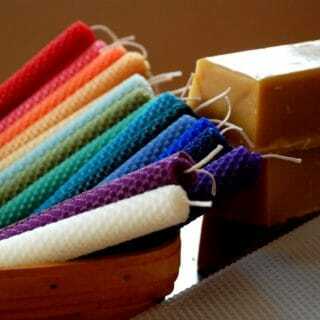 That’s why we were happy to find this idea from House of Burke for making your own paint! 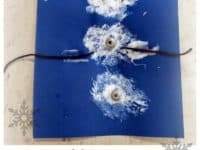 Check out their tutorial to see how they used salt to get the job done. 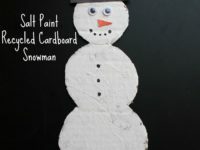 Does the idea of using salt for crafting intrigue you because you have a massive bulk sized container of it and because your kids love food crafts, but you’re not sure they’ll be super excited about yet another paint craft because they paint all the time? 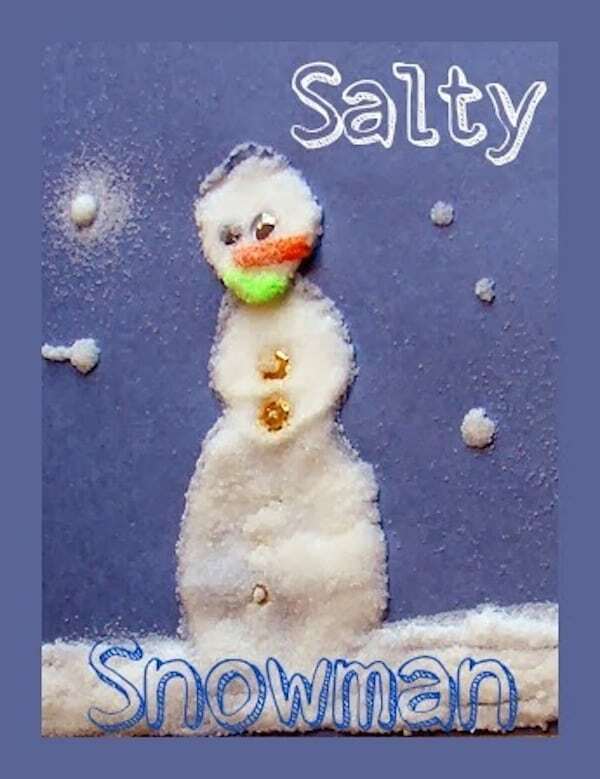 Then Childhood Beckons has the perfect alternative for you- creating a snowman with actual salt! We love the realistic texture it gives the whole thing. 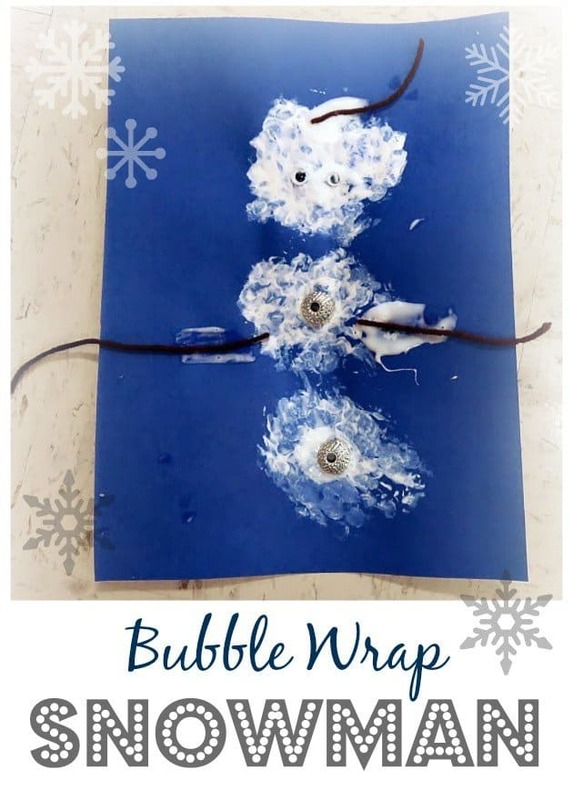 VIEW IN GALLERY If you’ve ever tried bubble wrap painting with your kids for other seasons or just for fun then you already know what a blast it is, and the holidays are no exception. 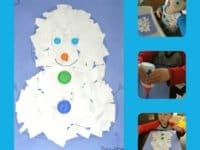 Help your kids cut out some bubble wrap circles, then paint them white and print them onto your page just like Teaching 2 and 3 Year Olds did here. 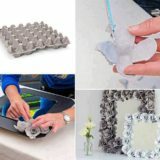 If you’re anything like us, you’ll also have fun popping some of the leftover bubble wrap when you’re done!